We have more vintage cards online and ready to purchase than any other website. Our goal at Dean's Cards is to make collecting fast, fun, and easy. One of the ways we aim to make things easy for our customers is to offer searches on DeansCards.com that are tailored specifically to what you are looking for. 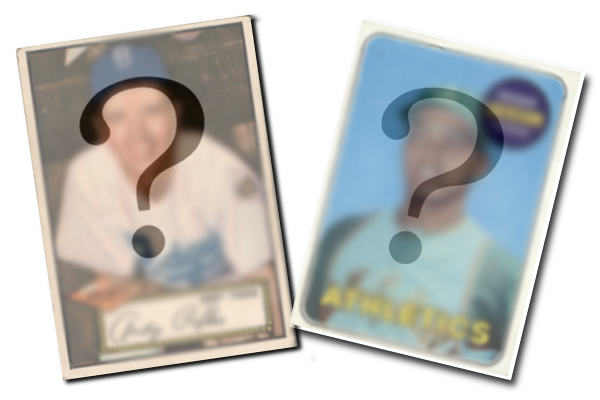 We know that one of the main ways people collect vintage baseball cards is by their favorite player. In order to find and purchase all the cards of your favorite players, you can either do a simple search in the search box located at the top of any page on our website, or use our comprehensive player search. It Was a Rotten Fight, Ma - I Lost! My, What Big Tonsils You Have! Darling, Where Is My Tie? Doctor - Why Do I Get This Ringing In My Ears? Now Will You Take Your Castor Oil?